Thank you card sent from President Bill Clinton at the White House, Washington D.C. Also included are color photos of both Bill Clinton and Al Gore. This thank you card was mailed from the White House to a lady in Pacheco California on May 19, 1994. The card measures 6.5 by 4.25 inches. 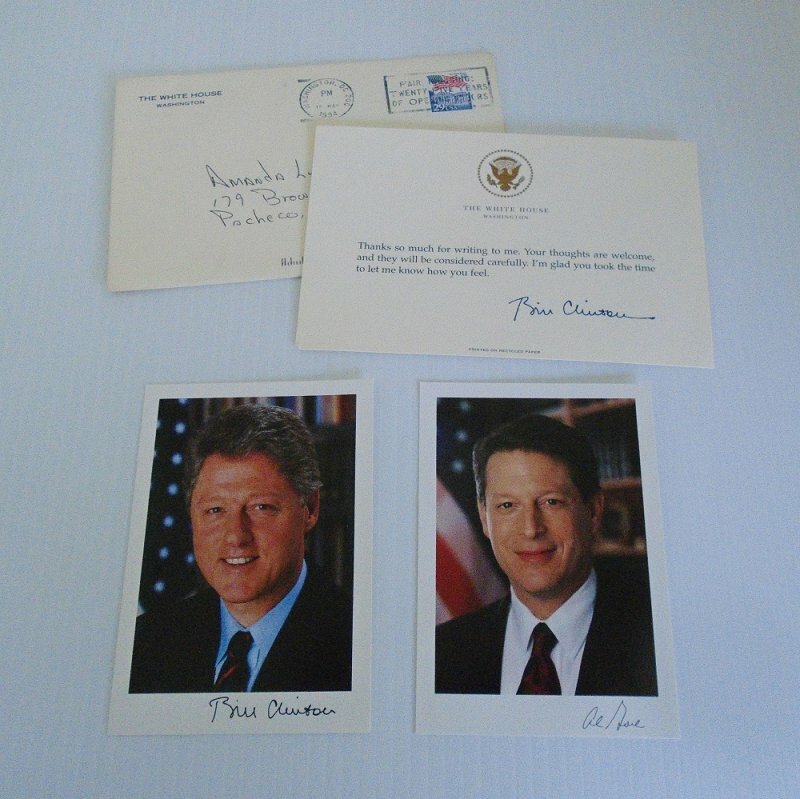 Included with the card are color photos of both Bill Clinton and Al Gore. The backs of each card gives a brief biographical sketch of each one's major political and personal events. The card and the two photos have been signed, but I'm positive they have machine signatures. All are in very good condition but the back flap of the outer envelope has a tear, probably from first being opened. Delivery will be via USPS First Class Mail from Arizona. Buyer to pay delivery charges of $2.25.